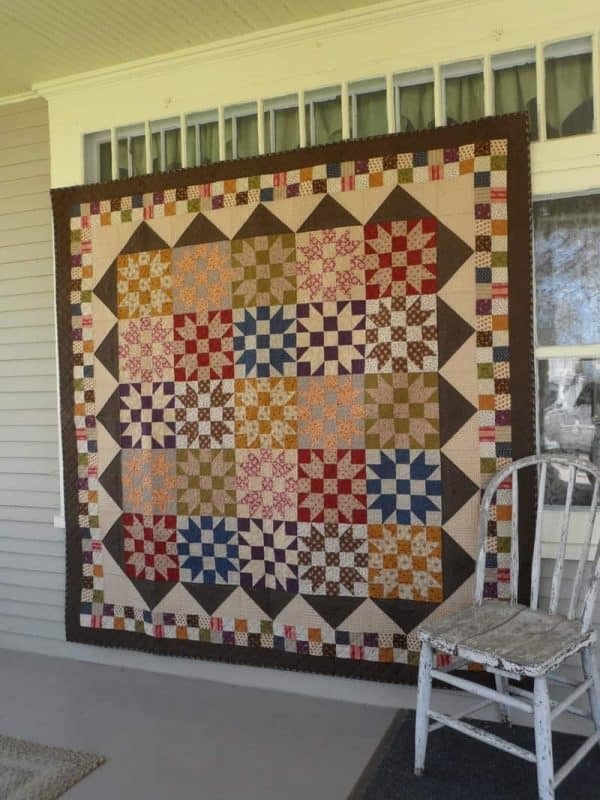 Never liked a border that is added to “try” to make the quilt bigger. 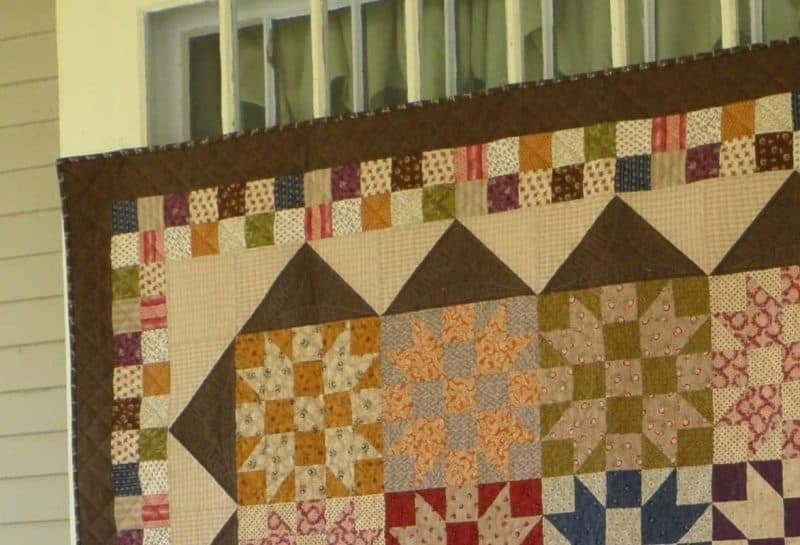 Cause the finished product always looks like “oh she added borders to make the quilt bigger”. One of the things I really like about your borders….they look like they belong there. 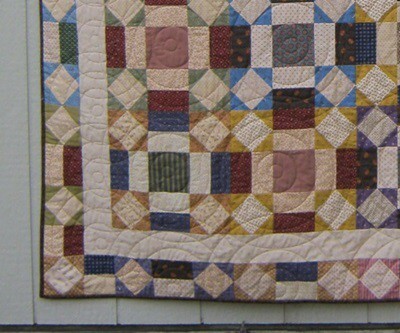 Borders for me can take awhile cause I want it to enhance the quilt and sometimes that has to be thought out. 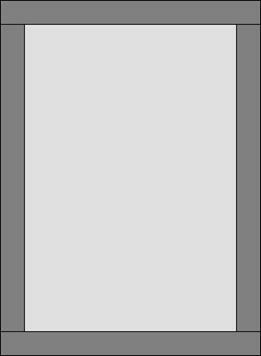 I have very boring simple borders, but you inspire me to breakout and try something more creative. With a new grandbaby girl coming in September I will have plenty of chances to try…. 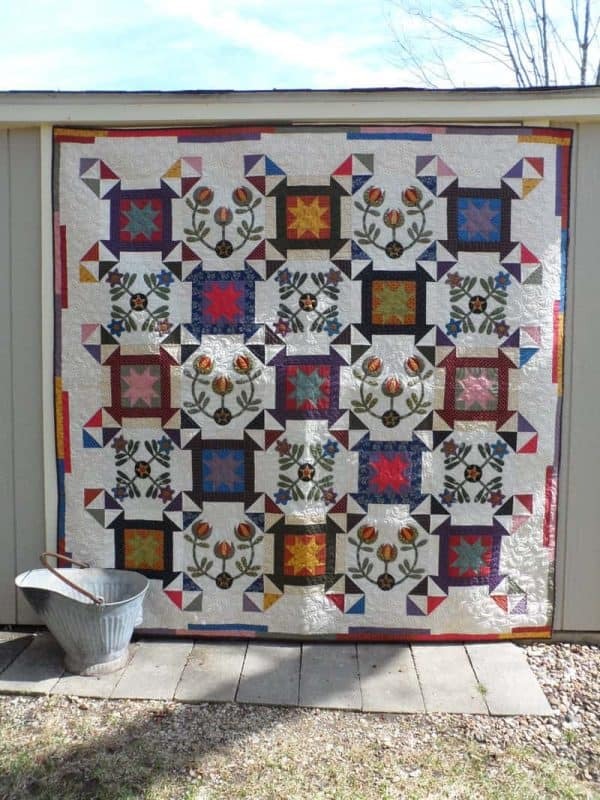 I always use borders to frame my quilts! Especially with Medallion type quilts. 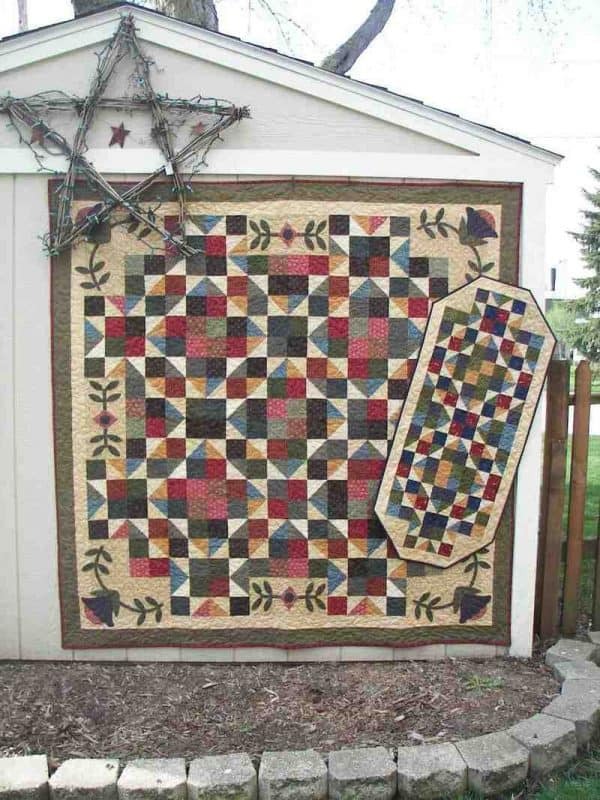 I remember when I first started quilting – large plain 6 inch or 8 inch borders were the thing. 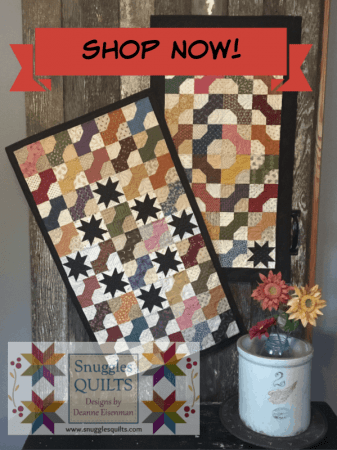 Now there are so many different choices to compliment a quilt. 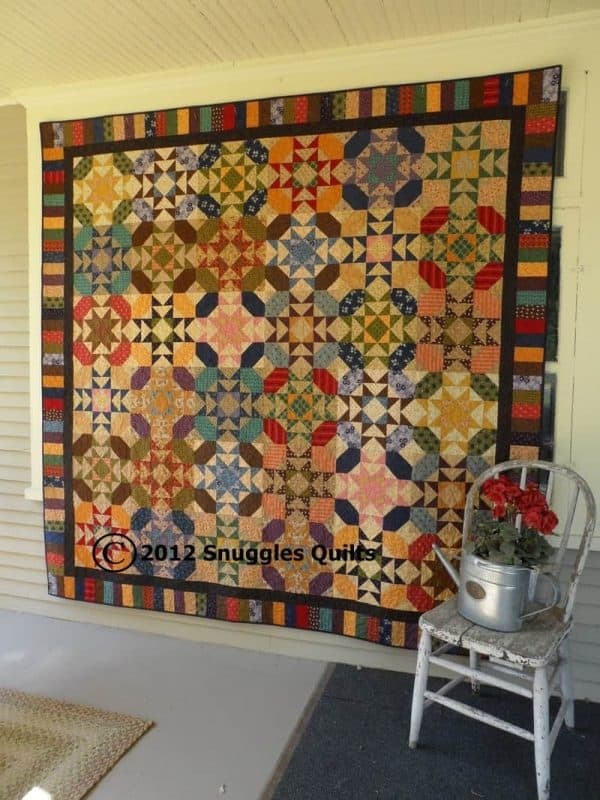 The quilt speaks to me and tells me which border to use, but I never put a large final border on my quilts! 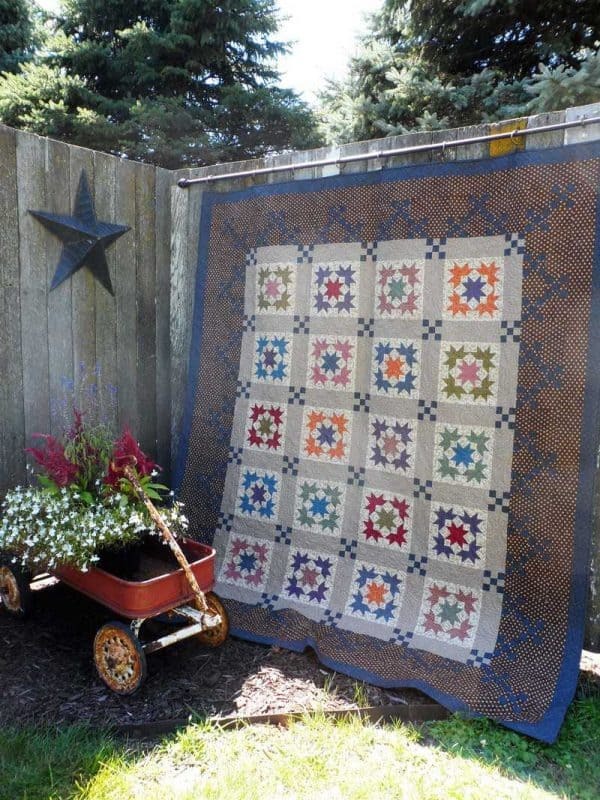 I just follow the pattern for the border. 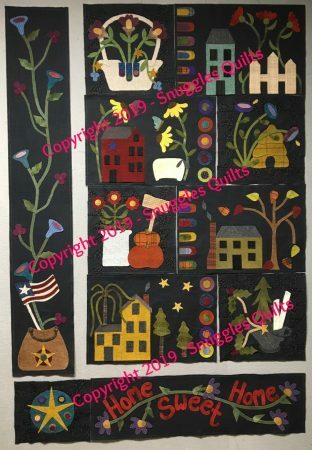 However, I’m just finishing a quilt that I have not found fabric for a border, consequently I’m going to have to get creative and make a pieced border out of the remaining fabrics used in the quilt. Thank you for the inspiration. I am not one to do plain borders. 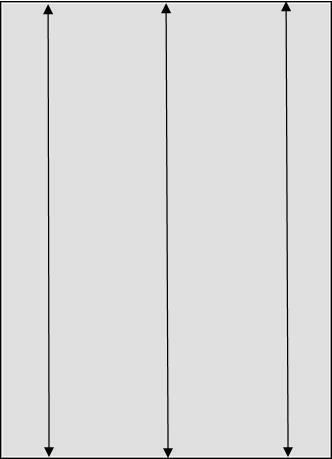 Inner border, middle border, outer border. 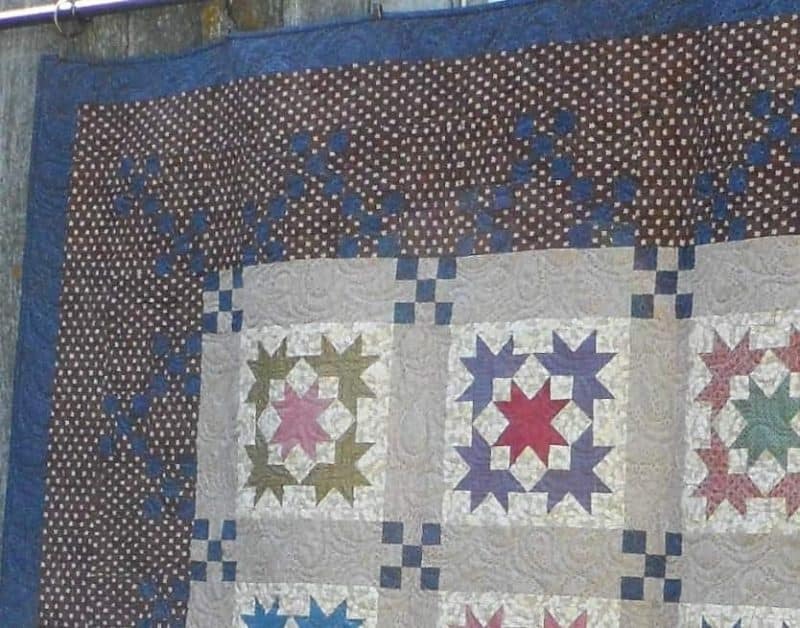 I like to bring elements of the center out into the border, so that when you look at the quilt you don’t just see a center, and then border, border, border. 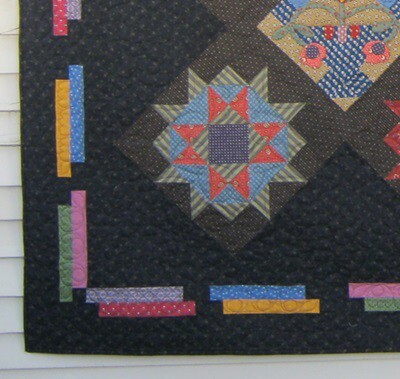 Applique on a border and brought into the center is my favorite. I enjoy your ideas on borders!!! 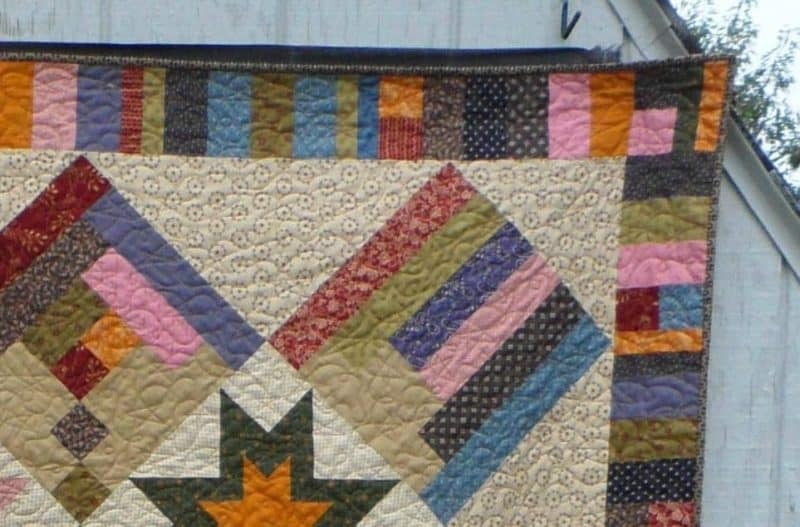 I see I am too late for the draw but I just wanted to say Hi, and say that I am enjoying your posts, and I love your quilts. Just a comment though. 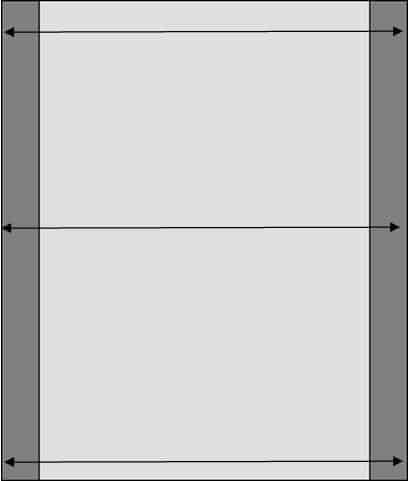 You don’t say what to do if the three measurements you take are slightly different? 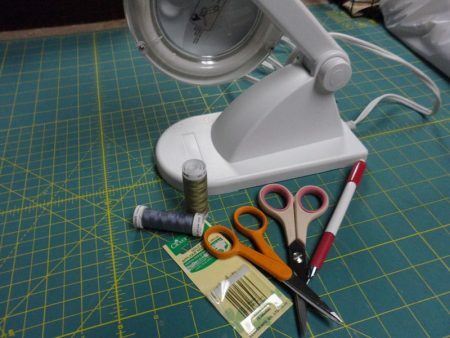 Of course in a perfect world and perfect sewing they would all be exactly the same but that’s not always the case!! Generally I average them out.